A Falmouth graduate wrote to us saying: “Thank you for giving me a chance. The scholarship I received was more than just money; it was confirmation that I had a future where I could succeed. I don’t have much now, but please accept this donation to help others this year”. We need your donation, too. In June 2017, with your generosity, we were able to distribute 81 scholarships totaling $147,550. However, we still could not give to all deserving students who applied.  For over 90 years, The Scholarship Association of Falmouth has awarded scholarships to students to assist in financing for their choice of higher education. Any donation you make to the Association is one of the best investments that can be made, since it demonstrates how much we value our students and their hard work. Awards Night for the 2018 graduating class is held in late May. Please send your contribution as soon as you can. Thank you for your kind consideration of this request. Should you have any questions about a gift or naming The Scholarship Association of Falmouth in your estate plan, please email me at: saf@falmouthscholarships.org. or use the online donation form. Please make check payable to the Scholarship Association of Falmouth. Yes No I would like my donation to remain anonymous. Yes No I would like information about including The Scholarship Association of Falmouth in my estate planning. In June 2018, with your generosity, we were able to distribute 89 scholarships totaling $160,800. But we still couldn’t give to all students who applied. They each deserve our support. The Scholarship Association of Falmouth invites you to complete an application for one of its many scholarships.